There is no need to be trapped inside a big fat body that makes you feel awkward, ugly, tired and freakish. All those medications may be affecting your accelerated weight gain. You may be taking them because your food causes inflammation or it affects your "fat" hormones. Let me help you select and prepare food that suits YOU personally. No more starvation, expensive products or impossible regimens. Learn how to have a Healthy Happy relationship with your food. Feast - but still lose weight during the holidays! Select and prepare festive food that burns fat. Oh no, people groan when they try on their party outfit from last year. Too - tight another spare tyre and the zip won't close. You can't bend down, let alone breathe. The mirror tells you that something is wrong. So does the bathroom scale. You already know this, but remind yourself that one upon a time you had a good figure - you have the pictures, remember? But you can get back into your slim clothes. There are many slimming protocols that really work.For the festive season, especially when you are preparing all or most of the meals yourself, it is easier to use ingredients that are free of gluten and suitable for all blood types. Here are some great ideas. Party food that is free of gluten and is suitable for all blood types. 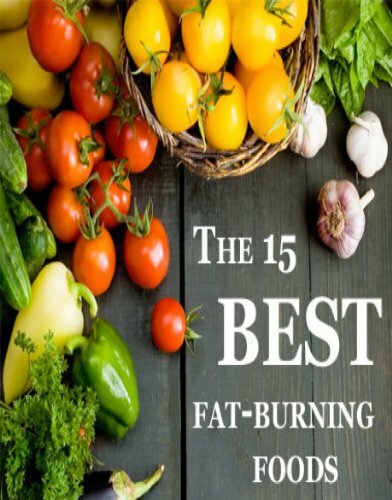 Some of these yummy dishes are also great fat burners. Go easy on the cheese and olive oil but do not cut out all fat. You can pick the size of your portions and the amount of carbohydrate you want. but with plenty of delicious and colourful options you can have a wonderful feast. Enjoy! The trick is to use a diet that suits your blood type. In doing so you will cut out what we call trigger foods that affect your weight personally. You will find a list of these and you can refer to them. 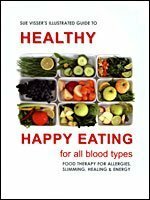 The research and information provided by Dr Peter D'Adamo is extensive and proof enough that people can maintain their weight by eating food that suits their blood type and then avoiding the ones that don't. That is why blood science makes sense. So load up on pineapple stuffed with rice, cougettes and feta cheese. Add steamed green beans to help burn fat. Baked utternut slices add some bulk to make the meal more satisfying and are a good substitute for roast potatoes. Red peppers are optional. Sweetcorn is only for blood type A to eat in large amounts. Occasional small servings are fine. But try to stay within your neutral zone. Forget about the famous movie stars and celebrities like Oprah who have tried and seem to fail at "everything." Forget about gastric surgery and expensive pills and shakes. Reverting to normal food makes you fat, all over again. Now that you are going to have a lot of parties and be exposed to a lot of temptations, stay alert. We are all different so it makes sense to work out your own protocol and at least match it to your blood type. Here is another satisfying meal that helps to burn off fat. Once again the green beans and mushrooms (to suit your blood type). These superfoods help to burn fat and stabilise insulin. they are also rich in chrome, a mineral associated with slimming and appetite control. Onions are gerat to add a lot of flavour and to improve your cholesterol profile. Yellow and red peppers are the ripe version of green peppers and are more digestible and better tolerated by all blood types. Now take a look at your trigger foods - you may just see where you have gone wrong in the past! Some people have other food allergies, especially to gluten or nuts that need to be considered. I took this picture in a restaurant. Food display. normal diet? I would only recommend the lettuce! Blood type A - Your worst fat foods: kidney beans, lima beans, chick peas (humus), potatoes and sweet potatoes. It is not about calories as much as the lectins they contain - chemicals that bind to each other and block insulin receptors. Some of them slow down the metabolism and increase the release of cortisol and that stimulates the growth of fat. 20% of blood type A's do not secrete antigens (sensory chemicals) in their saliva or digestive tract and are called non-secretors. For them wheat, peanuts and maize will also cause weight gain and immune reactions. Tomatoes, potatoes, aubergines and green peppers are members of the nightshade family (Solanum) and they cause inflammation in blood type A secretors. Blood type B - Your worst fat foods: lentils (dhal) all wheat, maize, buckwheat and rye products, chickpeas (humus), peanuts, coconut and for non-secretors: soya products, potatoes and fructose. The most disruptive meat is chicken. This is horrifying to people who are told to eat lean chicken breasts. But it is not about the fat. Chicken causes inflammation and weight gain in blood type B. So for them, this is a key fat factor. Turkey to the rescue - it suits all blood types! Blood type AB - Your worst fat foods: chick peas (hummus), buckwheat, sorghum, lima and kidney beans, coconut, sago, tapioca, sesame and sunflower seeds. Non-secretors: all wheat products cause weight gain or immune reactions. Only 2% of people belong to this hybrid blood type. Often the mixture of A and B blood-based antigens follows more of the one than the other. So some AB's may also need to avoid chicken. Blood type O - Your worst fat foods: all wheat and maize products, sorghum, kidney beans, barley and peanuts. Cabbage in excess blocks thyroid hormones. Secretors: lentils. Non-secretors: chick peas, oats and all soya products. Simple sugars and carbohydrates - true for all, but insulin resistance is most prevalent in this O non-secretor sub-group. If you want to accelerate your weight loss, follow these tips and use the links to the recipe pages to make a few reliable, cheap and easy party dishes. I have made this mistake in the past. I would ditch a pair of jeans because they had become too tight. I then bought a larger size and they felt a lot more comfortable until after a while they too, felt a bit tight. You are all familiar with this story. Now take up the challenge and keep the pants that are too tight and get back into them. She did! It is never too late to stop the weight gain before it ruins your life. Fat people are not jolly jovial wobbly jellies. Most fat / morbidly obese people take a lot of medications and feel miserable. Most fat people are victims of dysfunctional thyroid hormones. They have an aversion to exercise and take antidepressants or alcohol to get through the festive season. Some of them got fat as a side effect of cortisone based medications that were given to them at a very early age. Antibiotics also have fattening side effects, as we know from beef and chicken farmers who use them to fatten up their livestock. All this can and will change - but you really need to take some positive action. Once a week, try on those pants and soon you will be able to wiggle into them just a bit. After that it gets quicker and easier as your inner hunger is satisfied and your body relaxes and burns off the fat. Hormones begin to work in unison to burn, rather than store the fat. Then one fine day the zip closes. In the picture above, the young lady took herself down a few more sizes by doing some strenuous exercise. Fresh air, laughter and dancing did the rest. Do we really want to change? As a teenager I began to steadily gain weight but my Mother indulged me and kept making new dresses to flatter the expanding curves. Although her meals at home were healthy and nutritious enough, it was boarding school and college food that caused the damage. In South Africa, black Africans like to have big fat family - as well as cattle! To them it is a sign of prosperity. When I came home for the school holidays our Zulu maid would rave about how big and broad I was becoming. So my advice is to stop kidding yourself. You need to change the way you eat to stay in your slim clothes. Then, as I mentioned in the previous tip - make a plan to get back into them. In the picture above you see a new lean profile of the lady in pink a year after staying on her festive food diet. In the picture below she is enjoying a selection of festive fat burning foods for the first time. The cause of her weight problem was an overload of cortisol. Her thyroid and adrenal glands had shut down due to an autoimmune problem from eating wheat. She began adjusting her meals. By applying these weight controlling tips her water retention problem has gone and she has thrown away her fat clothes. She was not a big eater, or even a junk food loader. She had a hormonal problem and it needed more than a fancy fashionable diet to solve it. So eating for your blood type is not a diet. It is blood science or what you call common sense. Tip No 3: Along comes a holiday, a wedding or some birthday cake. Stop! When people see your big fat wobbly backside and the flabby rolls sticking out the sides, they will insist you have extra helpings because they want to give you a treat. Diet? Tomorrow - the tomorrow that never comes because there is always another holiday on the horizon. More treats, especially sweet stuff. Another slice of cake, just because it is another special occasion. Don't kid yourself. Keep accepting sweet things from people you so-called love and you are not going to be able to set your boundaries. You will begin to identify with morbidly obese people - larger than you, already driving around in wheelchairs. They will corrupt you, drag you down and by mutual agreement you will be mouthing the same old self-fulfilling prophecy: " I always gain weight during the festive season." Here is a plate of party food that comes out of Mom's kitchen. A slice of gluten free spinach and feta quiche, some pizza made from white kidney beans and sweet potato and a yummy salad. On the average party table you know there will be food that makes people hopelessly, helplessly fat. 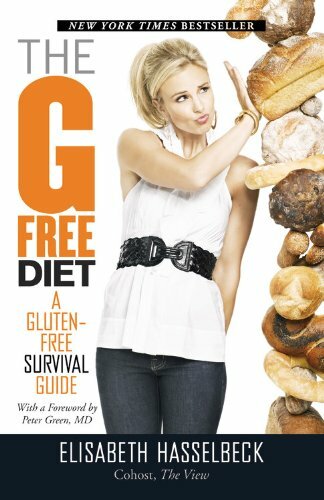 what is worse is that they eat the wrong foods - like bread, rolls and cake every day and they become addicted to them. Then they eat more of it to celebrate a special occasion. We all need to treat ourselves. But treating should not be about eating unhealthy fattening foods in excessive quantities. We condition our children to do the same to associate good times with junk foods. We all know they are unhealthy and very fattening. The fattening effects of all wheat products are well documented. They disrupt your blood sugar mechanisms and cause insulin resistance. For most blood types wheat is an inflammation trigger that in turn attracts fat accumulation. So if you want to slim down during the festive season you will have to find some other food. You need to take a good hard look at regular party "treats" and turn away from them. Find good alternatives and keep them around to enjoy at other meals. Pineapple, for instance is a very versatile party food, yet is one of the best foods to treat inflammation and poor digestion. Citrus pulp is a great source of fibre and is makes a great ingredient for baking cakes and muffins, especially for gluten avoidance and for vegans. Watch out for the fats and the empty super refined carbohydrates. The mean trouble and are the reason festive foods make us fat. Bad fats stimulate the accumulation of oestrogen and excess of this hormone makes us store even more fat and water. A dominance of oestrogen also slows down the metabolism and blocks the thyroid hormones so your metabolism slows down. You then crave sugar and feel fat and sluggish. So get rid of oestrogen and other fat inducing hormones by adding more party foods that are rich in fibre, vitamins and especially fermented cultures. Include yoghurt and Kefir or amasi because they help to accelerate the elimination of toxic heavy metals and fattening hormones like oestrogen and cortisol. Small pieces of home made feta cheese will do the trick. Here you also see white haricot beans that suit all blood types to lower bad cholestrol and make this a satisfying meal. Green olives suit most blood types better than black olives. they are indigestible and make the baking heavy and sticky. An excellent flour to use is made from yellow peas and when combined with molasses it makes a lovely edible play dough. When baked, thee tasty cookies can be used for table decorations. Tip No 7: Make your own fizzy drinks and watch out for the sweeteners! We know that people consume a lot of fizzy drinks because they become addicted to them. Often it is the most fattening food factor. They are loaded with high corn fructose syrup that has a devastating effect on insulin and hence the trend towards diabetes. 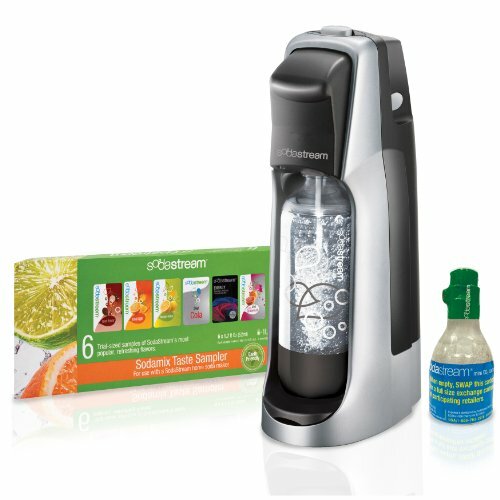 So buy or make your own soda water and try out some sassy new beverages. Non-nutritive sweeteners also stimulate the release of insulin and can result in insulin resistance and hypoglycemia. As you can see, counting calories is not the answer. Slowing down insulin reactions with whole grain foods, more fibre, protein and good fats is preferable. Rather sweeten up with stevia until your taste buds calm down but keep an eye on feeling weak and hungry after drinking one of your sweetened beverages. After a while some people can use less sweetener. A zinc deficiency causes people to keep loading up on sugar because they can't taste the sweetness. Take a zinc supplement instead to also help improve your insulin sensitivity. Adding acid to sweet fruits also calms down insulin reactions: lemon juice, apple cider vinegar or citric acid. Fruit juices contain excessive sugar and no fibre, so dilute grape or apple juice and add some form of acid. It is better to chew a sour green apple. The skin of sour, green fruit is rich in chromium and so are green beans. Eating a plate of steamed green beans actually burns more fat than the dish provides! Insulin sensitivity is amplified by adding ¼ teaspoon of cinnamon powder to sweet food and by taking extra zinc and chrome supplements. Bananas and pears are naturally sweet and avocados are nice and creamy. Beetroot adds lots of colour and is very tasty with honey, cinnamon and lemon juice. Include fresh fruit in desserts and keep sugar and starches out of them. Date pulp can also add sweetness as well as extra fibre to your party smoothies. Use fresh fruit purée instead of rich sauces and fancy salad dressings. Add a bit of rice bran or olive oil to make them a bit richer and reduce the hypoglycemic effects of insulin surges. Provide a good choice of lean meats, especially smoked salmon, herring, pilchards and fish that provide Omega 3 oil. It helps everybody to curb inflammation and helps to slow down digestion and reduce insulin spikes. As you can see, counting kilojoules is not the answer. Slowing down insulin reactions with whole grain foods, more fibre, protein and good fats is preferable.ke a salad or vegetable based meal more satisfying. For vegetarians make egg dishes or try some recipes for fake eggs, using fruit and coconut cream. Select natural soft cheeses that are considered to help burn fat because they are rich in natural enzymes and probiotics. Use fermented dairy products creatively to make smoothies, deserts and dips. Substitute sugar with stevia if you need to count the calories. Otherwise a little honey, maple syrup or sweet molasses can be used. Inflammation is the worst fat factor of all and many people live on drugs like cortisol because of inflammation caused by food that is in conflict with their blood type. So there is no point in following a diet sheet unless it suits you. Free full colour blood type charts are availabe to download from the list of references quoted. Print them out and keep them in the kitchen! By cutting out the wheat and getting rid of the blood sugar drag that makes you feel continually hungry you will not feel the urge to eat throughout the festive occasion. Make sure you are familiar with the gluten-free style of eating and bring along your special dishes for people to share. Perhaps they may also be interested in the way you are solving your weighty issues. I certainly hope so! Enjoy a feast of new flavour and beautiful colours that delight the eye and gladden the heart. you can fit back into them! Use these easy home recipes that have been tried and tested. Blood type guidance is included. Make your own gluten-free cookies, biscuits and festive treats. Avoid the xanthan and guar gum because it can make you fat! Use rice as a substitute for wheat and potatoes. Rice does not cause inflammation. Make fake hard-boiled eggs and other dishes that can even fool vegans! Use fermented dairy products as alternatives to sugary rich sweet treats. Use citrus pulp as a gluten substitute. Make fluffy cakes and muffins - vegan friendly! Make your own festive meals and enjoy them every day! Don't just go to a party and eat what is put in front of you. If by experience you know your hosts are going to serve wheat and gluten, high corn fructose, trans-fatty acids and loads of unhealthy fare then bring along your own dishes. Not all gluten free food or recipes suit you or are even fit for human consumption because they substitute gluten with indigestible gums like xanthan, gum and guar gum. But you need a lot of recipes and time to experiment until you can make your favourite staple food. Make your own soda water. Only use stevia and fresh lemon juice with a splash of Angostura bitters to get out of the soda pop syndrome. (That price needs to be investigated?) The biggest weight control mistake is ignoring food that upsets your individual blood type. Even gluten free or fat burning food should suit your blood type to rule out trigger foods that cause inflammation, agglutination and hormonal issues that slow down fat burning mechanisms, even if they are low in calories. You need a good strong immersion blender. My best! This is the tool Gordon Ramsay uses to add a professional touch to soups, shakes, smoothies and sauces. No need to buy ready made fast food. This is the key to turning just about everything into a fast food. The immersion blender can be dunked straight into any deep mug or bowl. A lot of useful ideas. I would love to see all of this in a glossy picture book, so I could lie on my famous couch and feast my eyes. Nice work, Yindee! Thanks for stopping by. You mentioned a glossy book? I started to compile a lot of these ideas for another book, a sequel to HEALTHY HAPPY EATING but got a bit overwhelmed. I ended up with loads of pictures and ideas and lost my mojo. Publishing another picture book in a monstrous task, especially because I did all the writing, cookery, illustrations and design work myself. So now I just play around and enjoy myself on the internet. Blame it on my age!